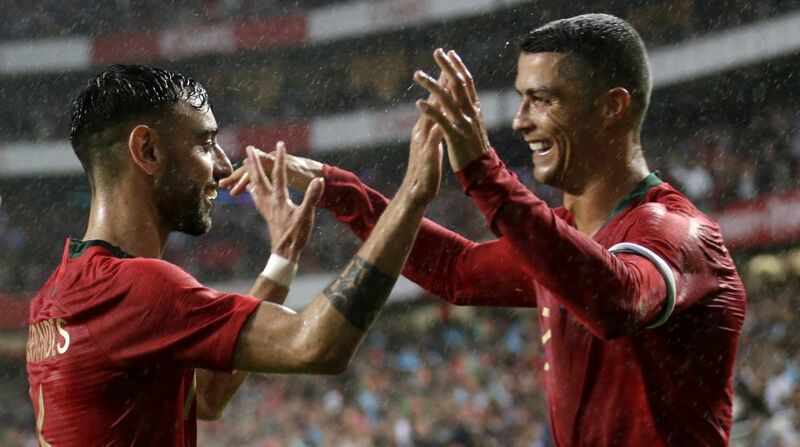 Five days after his hat-trick rescued Portugal in an opening 3-3 draw against Spain, Ronaldo’s fourth-minute header clinched a 1-0 victory over Group B opponents Morocco in Moscow. Three previous tournaments yielded a return of just three goals for the five-time world player of the year, but Ronaldo is taking Russia by storm after netting four times in two matches. “Cristiano Ronaldo is like a port wine, he changes as he ages,” said Santos. “He’s constantly evolving, unlike regular players he’s always evolving. “He won’t be doing the same thing in two or three years and he’s not doing what he did four or five years ago. He knows himself well and knows what he needs to do.” Ronaldo bagged a staggering 15 goals in European World Cup qualifying as Portugal reeled off nine consecutive wins to seal a fifth consecutive appearance. It is likely to be a fourth and final World Cup for the 33-year-old, although he is showing little sign of decline after a fourth Champions League title in five seasons with Real Madrid. Portugal reached the semi-finals in 2006, losing to a Zinedine Zidane penalty against France, but exited in the last 16 four years later before crashing out at the group stage in Brazil. Ronaldo is intent on leaving his mark on this tournament, two years after helping Portugal to a first major title at Euro 2016. “He’s a fantastic player. There are no words to describe him,” said Portugal team-mate Bernardo Silva. “If he isn’t the best player in history, he’s at least one of them. He’s a fantastic player who tries to show it every time.” Morocco boss Herve Renard had warned of the challenge in shutting down Ronaldo, but despite fortifying his defence the Portugal captain made the decisive breakthrough. “Even if you want to draw up plans for Ronaldo, he always finds a way out,” Renard had said on the eve of the contest. “He’s absolutely exceptional. Perhaps that word isn’t even strong enough.” Morocco defender Mehdi Benatia claimed his side proved they belong at the World Cup after a 20-year absence, but the Juventus centre-back conceded there was simply no answer to Ronaldo. “We held our own against the European champions,” Benatia said. “They have big names, stars, everything you want.” “We gave it everything but you saw (the ball) just didn’t want to go in,” he added.